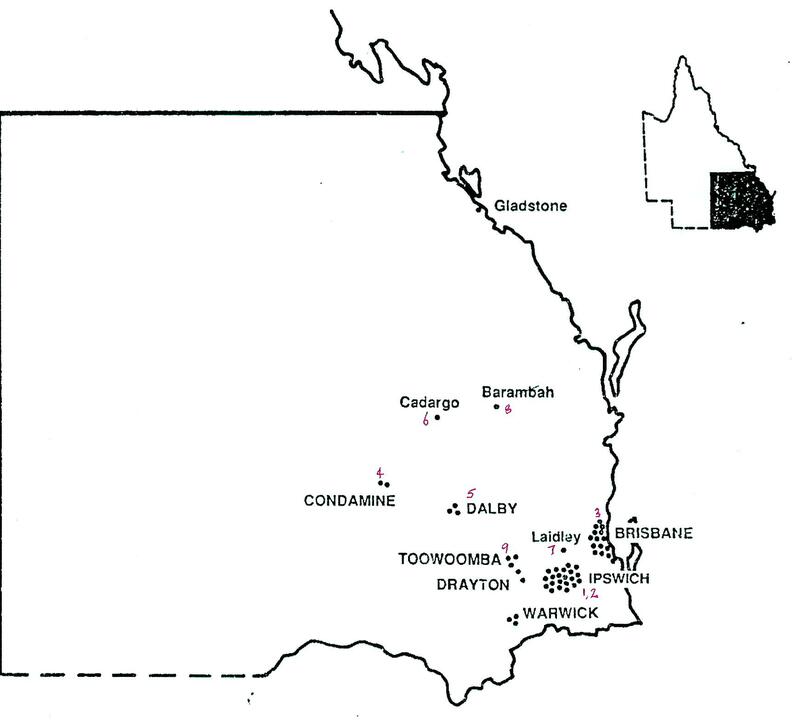 This entry was tagged Bridget McQueenie, Celia Dempsey, Cicely Moran, Digby, family reconstitutions, Famine orphans in Queensland, Hyde Park Barracks, Irish Famine Memorial, Jane Duff, Jane Liddy, Jane Troy, John Knox, Lady Peel, Map of Irish Famine orphans in Eastern Australia, Margaret Plunkett, Margaret Stack, Mary Ann Prendergast, Mary Casey, Rose Sherry, Stanford Spatial History Projects, Thomas Arbuthnot, Tim Costello. Bookmark the permalink. Hi Trevor, Do you happen to know if there is a database we can look at to see where/to whom each girl was assigned. 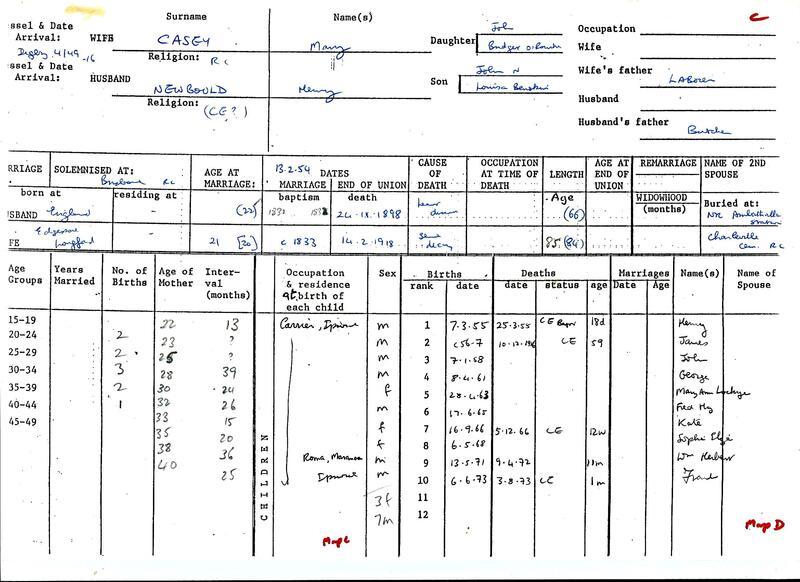 I know that my 2x gt grandmother Frances Patterson per Digby was assigned to Major Innes in Port Macquarie but have never seen an indenture (or if one still exists). 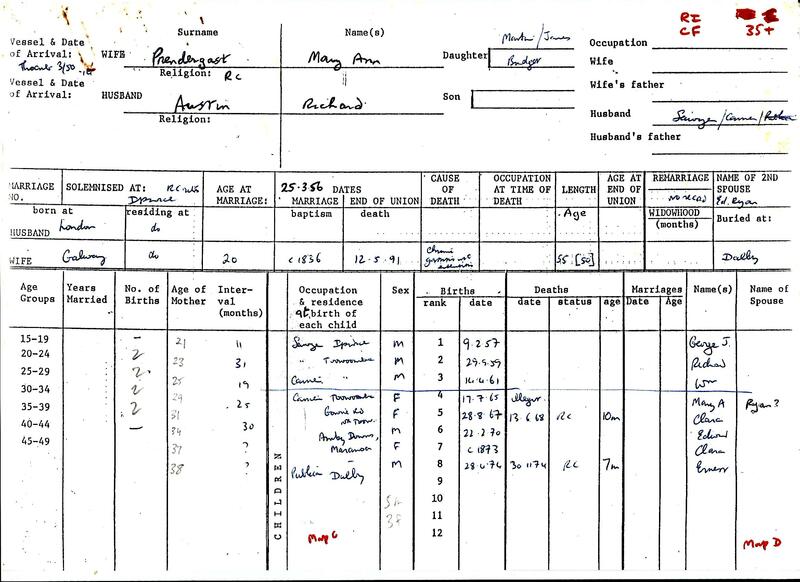 On the same ship was her cousin Mary Ann who was sent to Dapto, NSW so I would also like to check on her journey. I have sent photos and docs on Frances quite a while ago and also to Perry. Not specifically related to their employers as far as i know. 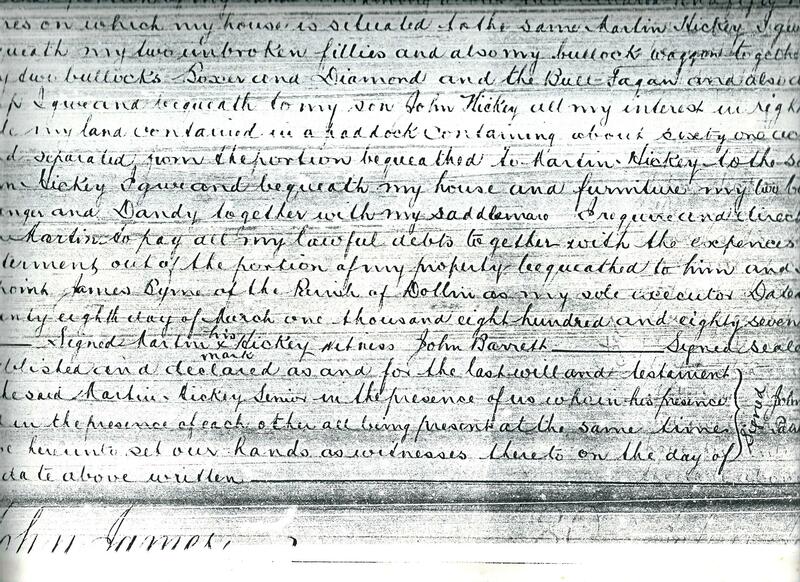 Very few copies of indentures have survived. 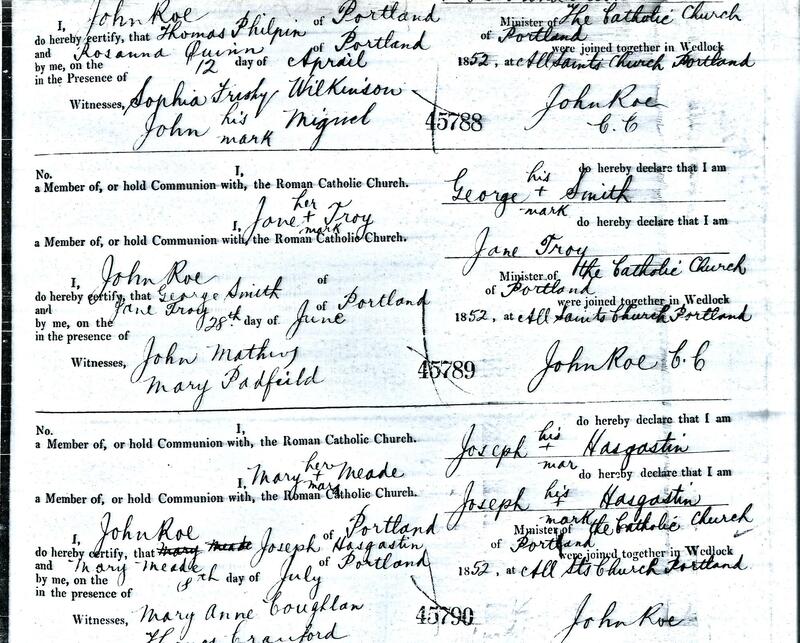 Shipping records in Victoria have what they call Disposal Lists which record the orphans’ first employer. In NSW the information is in a variety of places. 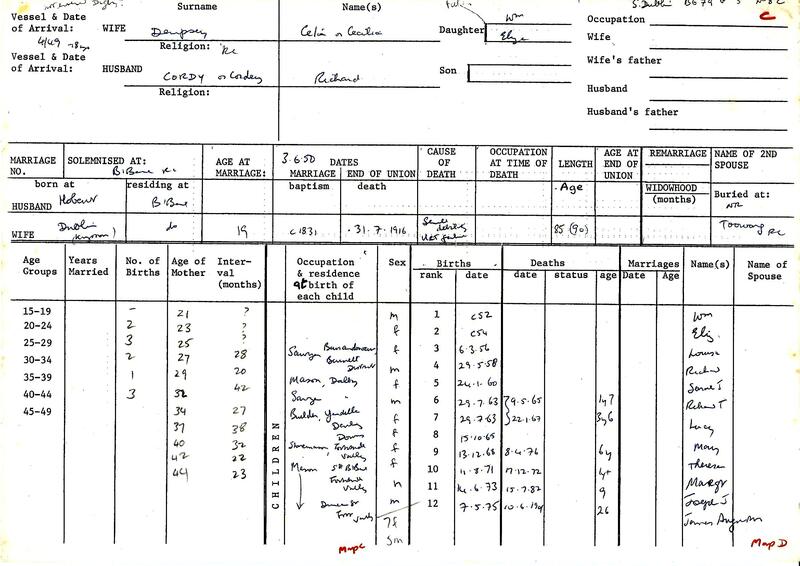 For Barefoot it came mainly from Immigration Correspondence, then in the early 2000s I think it was the late Lionel Fowler but i may need correcting here, provided information about orphans’ employers on some of the earlier vessels (would have included the Digby). It was discovered as part of the Governor’s Despatches ie as enclosures to the Despatches, copies of which were on microfilm at the Mitchell Library. 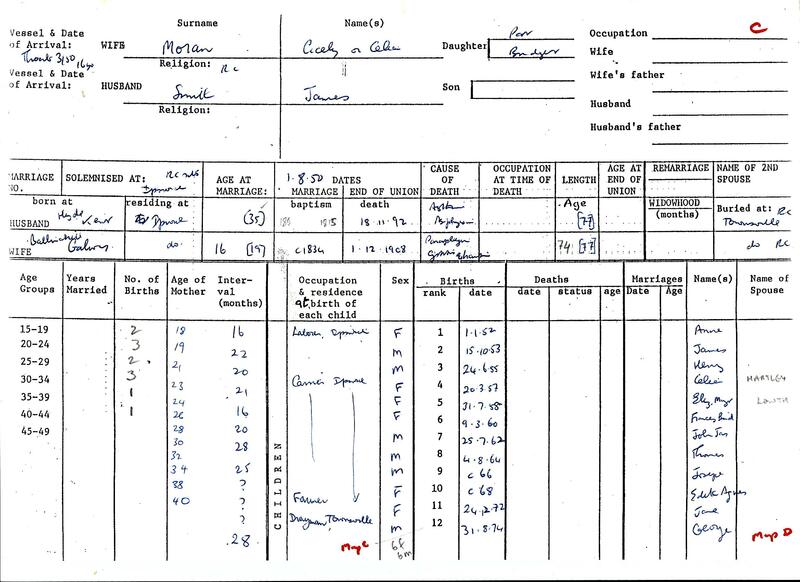 References were put on to the first irishfaminememorial.org website but don’t seem to have made it to recent most up to date version. CY references if my memory is correct. Am still battling some health issues. Maybe Perry or someone can give the specific reference. 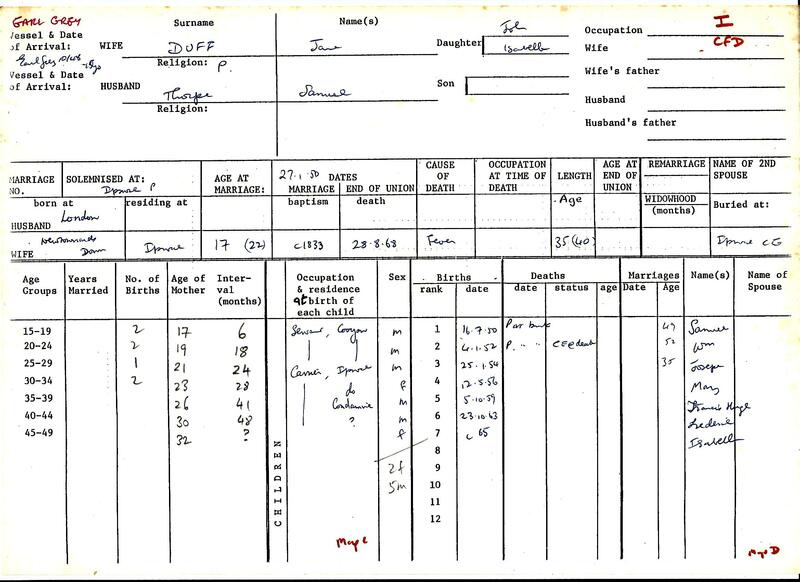 Dear Robyn, Found a letter from Mr Fowler which says the MF Reel for the Digby was not found. They do exist for some others. 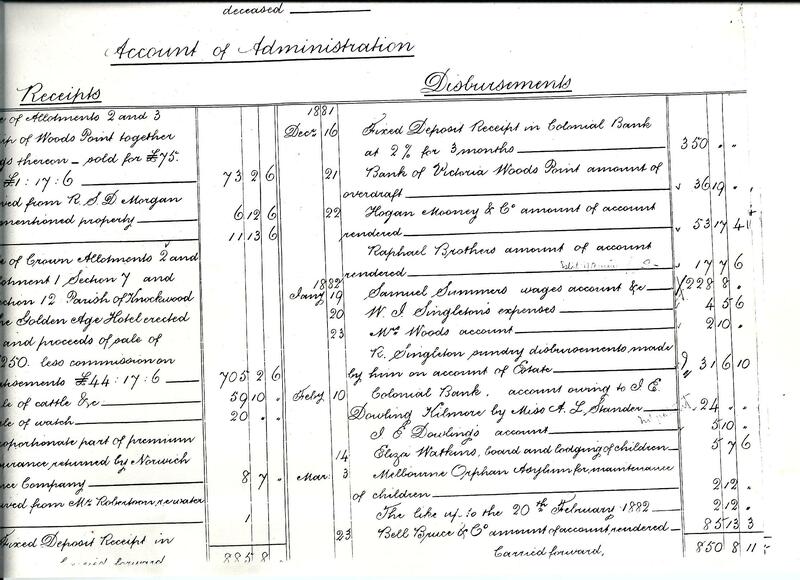 All that info would have been entered on to the database on the irishfaminememorial.org site. Exactly the issues I’ve been pondering for my east Clare emigrants though I was being less ambitious and aiming for key internal migration points. Thankyou all for your kind words and encouraging suggestions. But it aint something I intend doing. 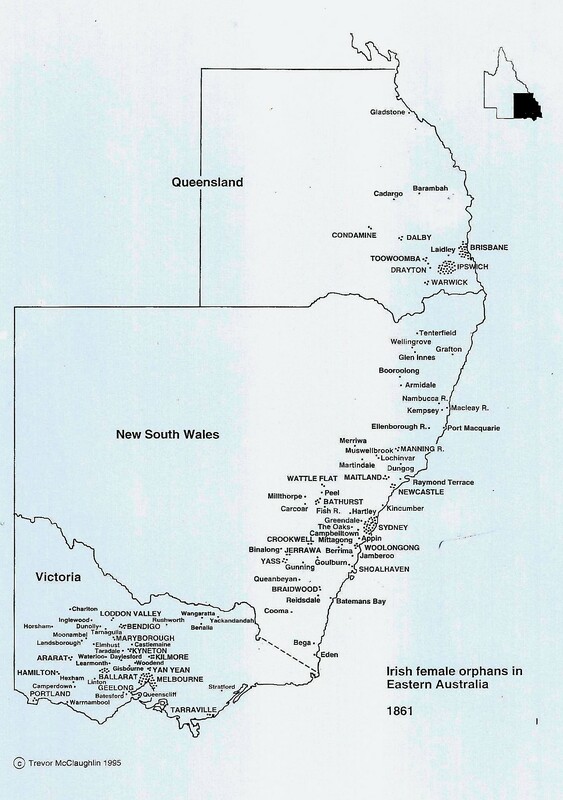 I’ve always believed the best way to commemorate these young women who fled the Great Irish Famine and sought refuge in Australia was through the GIFCC’s Outreach programme. There is surely something similar arranged in Melbourne(?) and Adelaide(?) or about to be. I was wetting a line and casting some burly. I hope one day an interactive map is available and it is used as a way of raising funds for young women fleeing from humanitarian disasters. Tim Costello will have some wise words for the ‘Gathering’ on the 28th August, I’m sure. Only yesterday i was talking to a cousin’s husband who is a surveyor in Sydney. We were discussing the excellent maps produced so meticulously in the 1830’s under the direction of …… Mitchell. If you want to follow this up a bit, please ring me on 0402053279 and i can put you in contact with him. He said there are some “priceless” (my emphasis) etchings of these originals in the Australian Archives in Canberra. Thanks once again for your wonderful knowledge and the passion you show in helping us find out more about our famine ancestors. 3) find a WordPress plugin which can render maps. Try Googling “wordpress maps plugin”. The plugin should be able to take data from the database and render it in WordPress. Depending on what you want to achieve, you may need to take care with which plugin you choose. 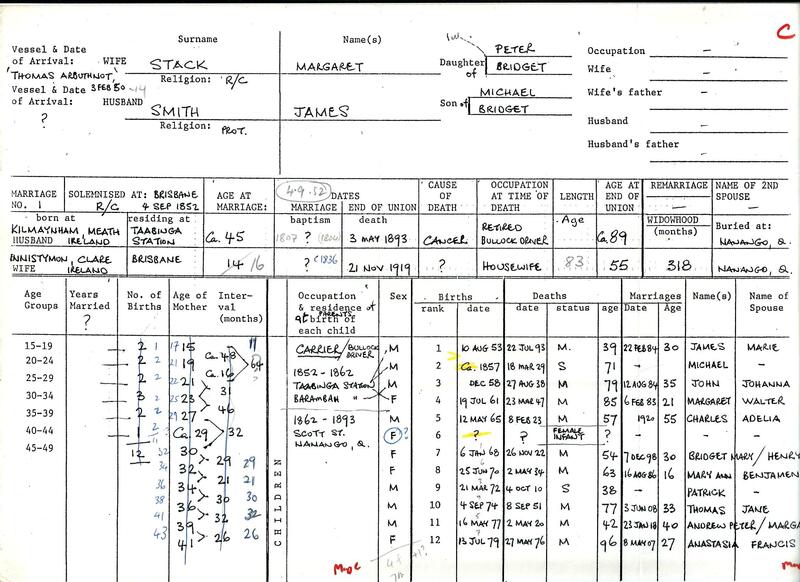 I could knock a quick schema together for you for the database. Drop me an email. The API call for Google is probably best done with a database routine, but you need a google API key (which is free providing you don’t exceed certain limits). You need a database on your hosting account. Load the schema, test geocoding connections, load data, then play with plugins. Then (presumably) tweak the schema a bit where needed. Many thanks Rory. I had a quick look. But wordpress.com is different from wordpress.org. The latter is where the map plugins are. Which is not the only reason for my not wanting to do this myself. 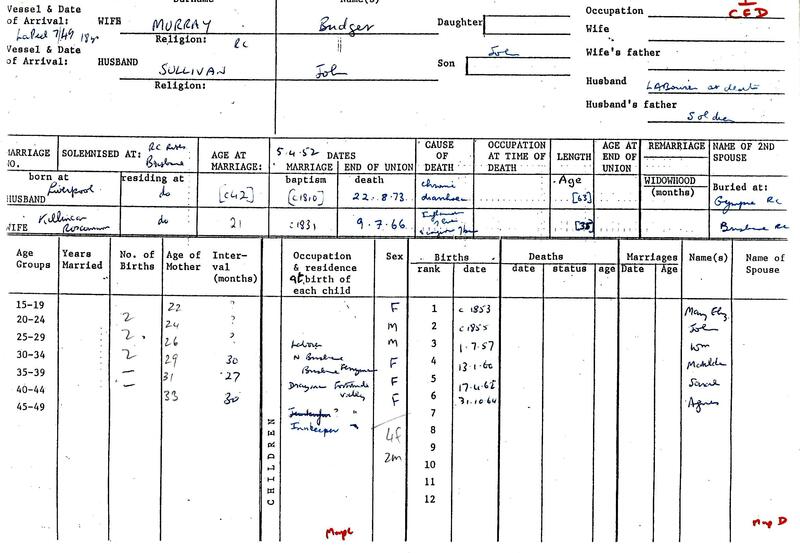 Dear Dr McClaughlin, My great great grandmother, Frances Maria Young, known as Fanny, came as a ‘Famine Girl’ from County Cavan in July 1850, on the Taipoo Saib. 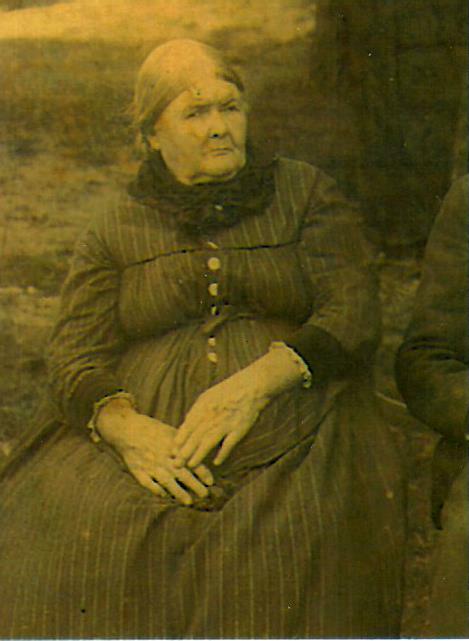 If you’re interested in any more information about her life in Australia, I am more than happy to discuss her with you. 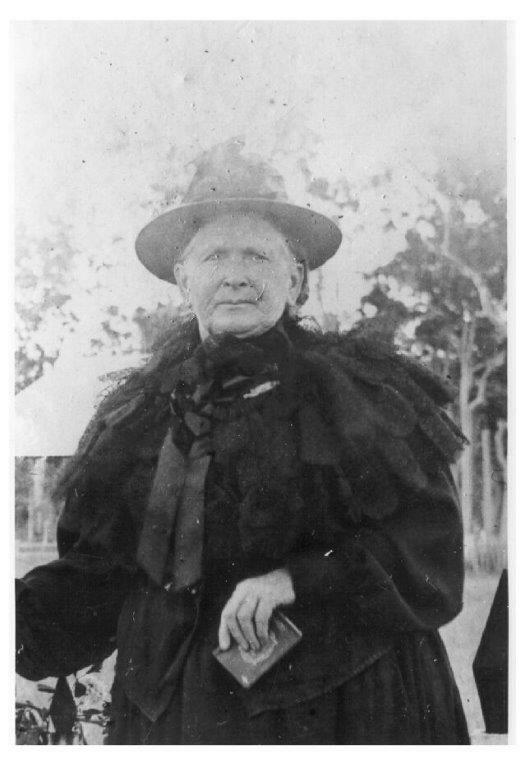 She married in Redfern, married and moved to Yackandandah and raised a family. I have a photo, it’s not fantastic but is probably typical of its kind. if you haven’t yet made contact. 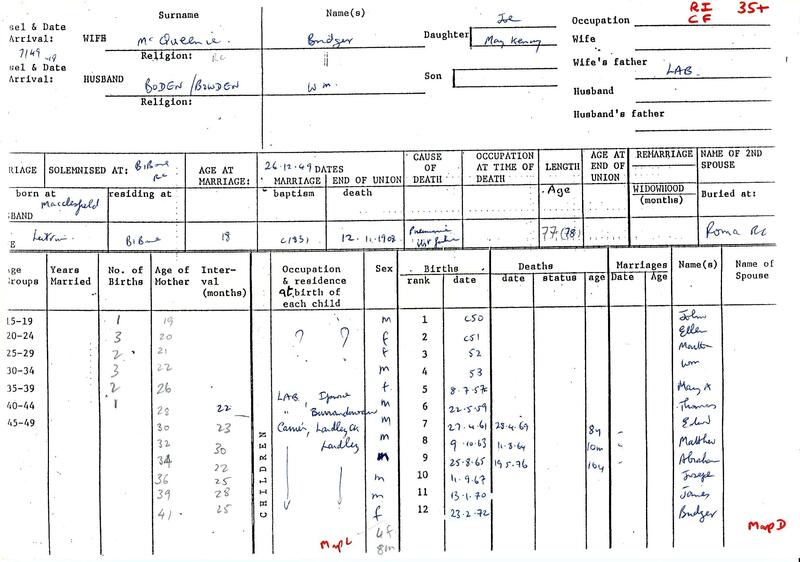 Perry has a database for all the orphans. I’ll send you an email too. Thanks Ian. I’m sure there will be others who are interested. Interactive map for orphans: a brilliant idea our Trevor, and one that would be instantly popular and used world-wide. I’d suggest a) you find a webpage person, possibly someone doing a degree in this area who could find the content useful? And b) you start a Give a Little page so we can donate money to pay a minute salary to the web person / moderator for uploading items sent in. (We / you don’t want people feeling free to submit their rant on how whatever political event of today is terrible and They should bring back hanging.) And c) the web site needs to have a couple of basic statements about copyright, and what people can do with material they see on it, and we need to make sure people know about it . . . But basically, yes, let’s go. Thanks for an interesting post Trevor. I was happy to see Queensland get a mention. 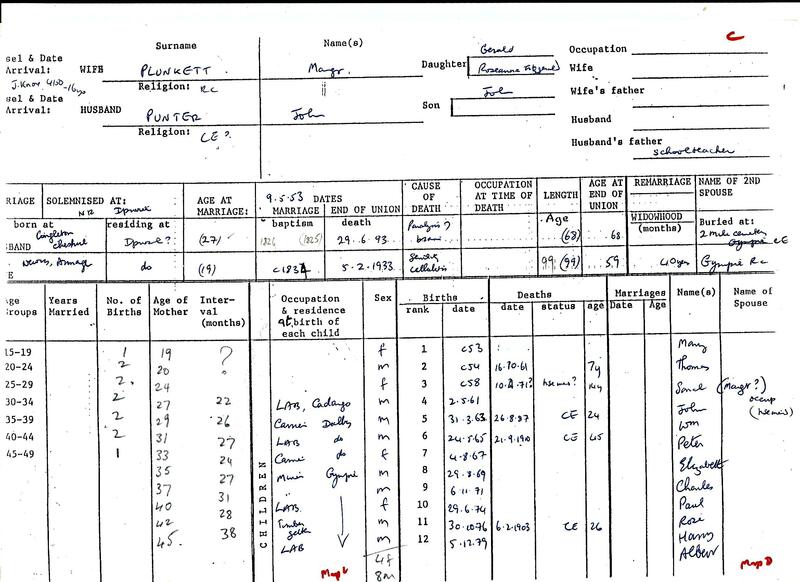 That dot (or one of them) at Drayton would be for my GG Grandmother Mary Kennedy from Dingle, Thomas Arbuthnot, 3rd Febryary 1850, Sydney. earlier this year. He was preparing a programme for the radio station on the orphans, especially those from Kerry.